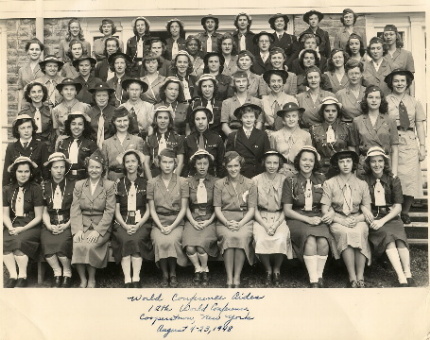 Did your mother or grandmother participate in the 12th World Conference, The World Association of Girl Guides & Girl Scouts, Cooperstown, NY, August 13-23, 1948? 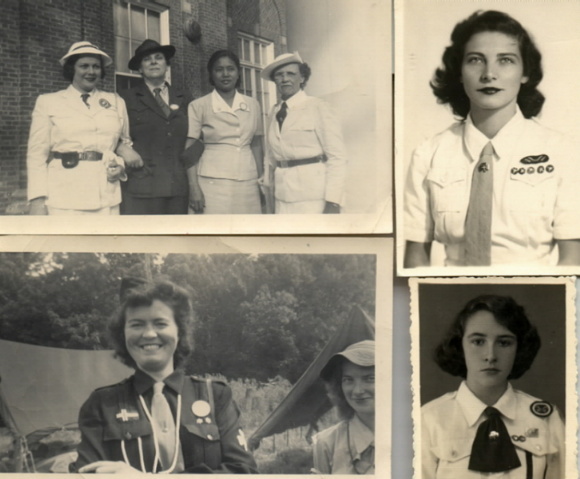 If so her picture may appear amoung those taken by my mother, Dorothy Jean Stanley "Stan". I have more pictures and will add as I have time. 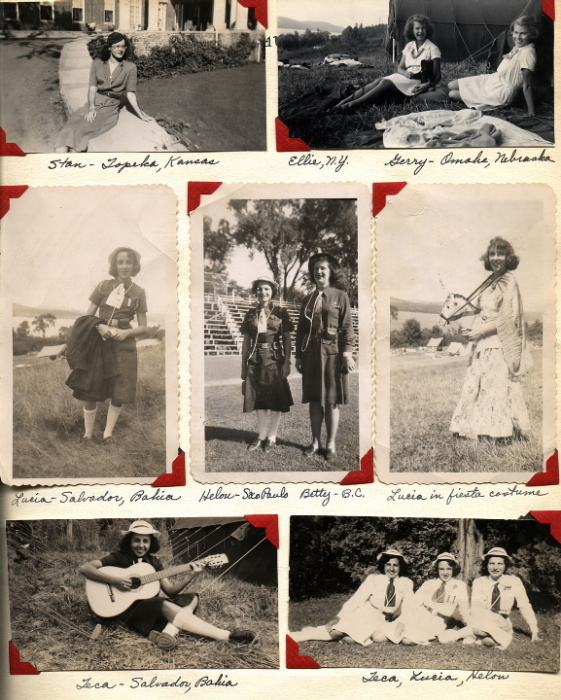 To aid search engines, here are the names I have found in her souvenir book, diary, or reference photos. 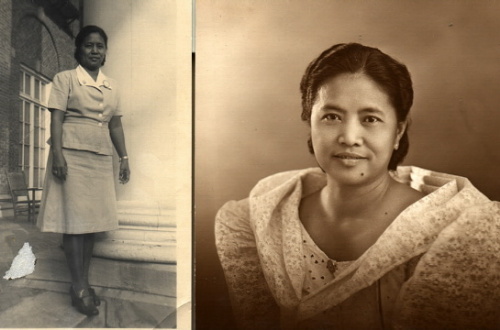 If one of them is your ancestor, contact me and I will scan the information for you. Feel free to print pictures off this web site. I have not had time yet to transcribe her diary. Representatives from Brazil, Italy, Philippines, Switzerland in top picture, Norway in bottom picture. 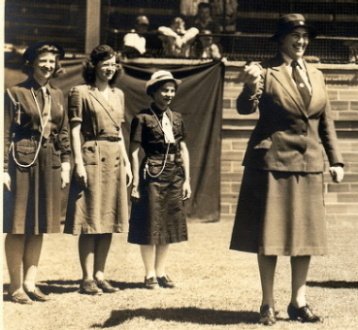 Lady Baden-Powell throwing the ball agt the State Championship Baseball Game.